The first 3 requires dungeon runs but I don't know what to do in 4th and 5th one. I've done yesterday's daily quest doing story quests but I have none of them right now. At that time I wasn't aware of the new daily quest system till I saw something beside the black lambs logo. 1.) Completing a town's secret/extra dungeon. My Tein in his mid-30s had to complete 1-S twice. 5.) Running any dungeon with a party. I'm not sure about the special dungeon one,i only did EDMs & regular dungeons and got all the quests completed. But yeah,you get asked for a specific dungeon to be done on a specific difficulty and you should get a specific rank,that's for sure. X* any dungeon on your level range. Thanks for the help, gonna try gear tuning and EDM later. My 1st one is complete any dungeon xtimes. 2nd one is clear a certain dungeon xtimes. 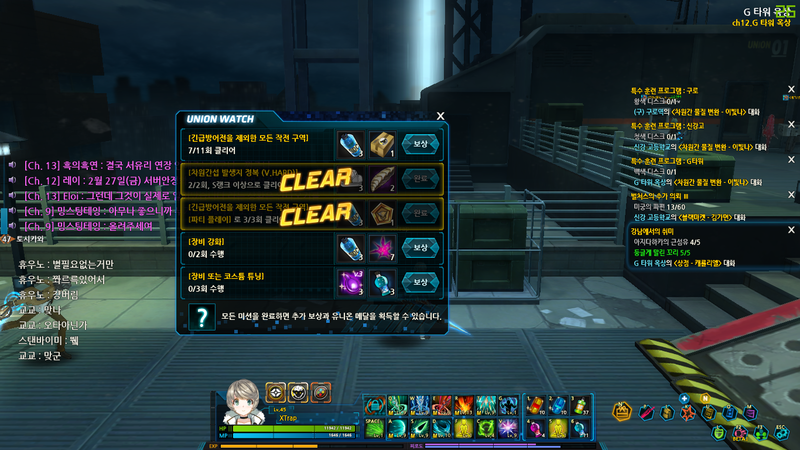 Also I was accompanied by 2 npc's 2 times(Oh Serin and an ally monster), don't know which one is it. 5th one is gear tuning as Red says. 4th one was enchant item xtimes. (02-27-2015, 04:13 AM)Person Wrote: I'm not sure about the special dungeon one,i only did EDMs & regular dungeons and got all the quests completed. Well, I mean, if you need a specific dungeon, there'll be a red exclamation point above the dungeon you have to do in the dungeon map. This just so happens to also include secret/extra dungeons. I also know that that dismantling and gear tuning are definitely quests; I took screenshots from friends of mine and pseudo-translated the quests they couldn't complete.